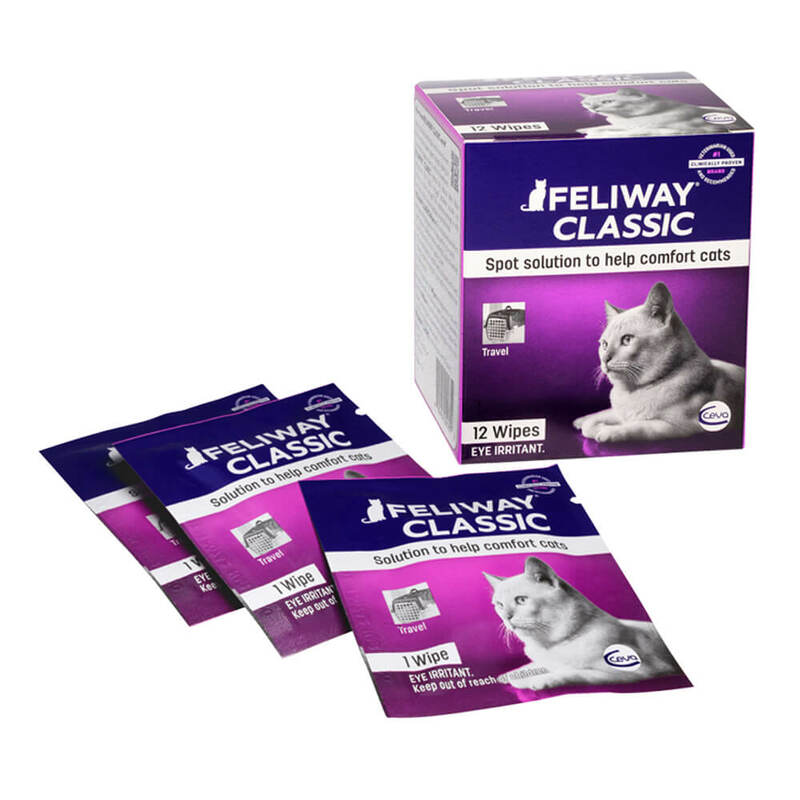 Feliway Calming Travel Cat Wipes help make a cat feel comfortable in their environment, leaving a facial pheromone behind. These wipes mimic that same natural scent, which effectively works to help calm nervous cats during travel. You can use them to wipe down hard surfaces like carriers and anything else your cat may encounter along the way. As soon as your cat starts sniffing away, the scents work naturally to put them at ease which will make travel better for everyone. Do not apply directly to cat.